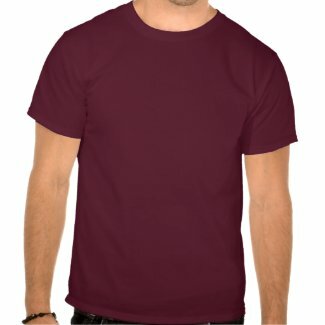 The Geekicorn.com blog is a useful resource for finding the best geek t-shirts in the universe! Gamer tshirts, geek girl tshirts, funny geek t-shirts, computer geek or programmer shirts, math, science, music and band geek shirts, baby geek clothes and a whole lot more frolic freely among our pages! Our trusty geekicorn (part geek, part unicorn)uses his magical powers to weed out all of the lame shirts to get right to the pure awesome! Behold our awesome geek clothing and don't forget to floss! I love this I Am Bot tshirt! What a cool robot! This Game Over pixel tshirt has a cool retro gamer feel and some cool pixelated skulls on it! Time to drag out the old game systems to reminisce! Happy holidays to you all! Here's a cute cartoon sea cows tshirt to celebrate! This is how I get down! 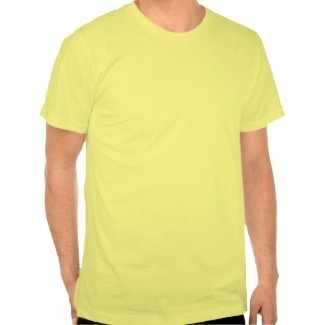 I love this funny literal ladder tshirt! A mountain of vintage stereo gear adorns this awesome t-shirt! Great for music lovers who like to rock it old school! Stop following me! This evolution tshirt would make a great funny gift for science lovers! This cartoon skull bomb tshirt is sizzling! Love that retro gamer style! 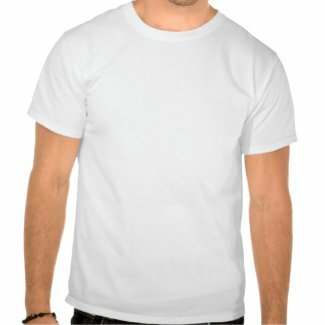 This State of the Art tshirt is perfect for retro gamers! Awesome retro colors and check out that joystick in the foreground! Sweet! Check out this funny space bar, the final frontier tshirt! Does not compute! This retro, vintage inspired shirt says it all. The perfect gift for those who need a tech-break or aren't so techsavvy and yearn for a simpler time. Ever pictured yourself (or someone else) on a $100 bill? Now it can be so and on a tshirt too! Makes a great gift too, just in time for the holidays! 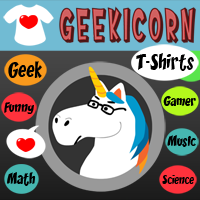 This is the official blog for Geekicorn.com! I scour the internet to find the most awesome geeky t-shirts and I'll be posting a selection of them here for your perusal. All of the art and images used in this blog belong to their respective owners (and in some cases that is me). If you have a question or a comment feel free to shoot an email to geekicorn [at] gmail.com and I'll respond promptly in all of my unicornian glory. Don't be surprised if you see a rainbow or a shooting star afterwards...it's all part of the magic, baby.